On October 28 1613 a samurai called Hasekura Tsunenaga set off on an epic voyage to an unexplored and little known part of the world - the land of the Southern Barbarians. 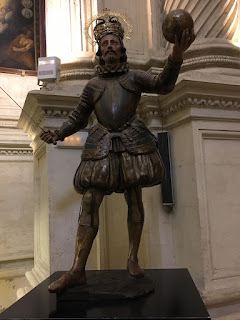 He crossed the Pacific and travelled by way of Acapulco on a succession of magnificent galleons with gilded prows and billowing sails, and arrived in Spain on October 5th 1614. There he met King Phillip III, was baptised, and eight months later went on to Rome where he had an audience with Pope Paul V. All in all he was away for seven years. This was the era of the conquistadors, little more than a century after Columbus. The Spanish now ruled much of Central and South America, had colonised the Philippines and were eying up Japan. But the Portuguese got there first. In 1543 they were already selling matchlock rifles to the warring Japanese clan lords. Shortly afterwards, in 1549, Francis Xavier and his Jesuit missionaries arrived and started converting sections of southern Japan. The Japanese realised that the Jesuits were the thin end of the wedge and that invading armies might follow, but they felt able to hold their own. In those days Spanish galleons plied the Pacific carrying Mexican silver to Manila where they loaded up with spices and goods from Asia to take back to Acapulco. In 1609 one of these galleons, the San Francisco, was wrecked on the coast of Japan near the booming city of Edo, present day Tokyo. The captain survived and went on to meet the retired shogun, Tokugawa Ieyasu, and set up a trade treaty. The Englishman William Adams, model for James Clavell’s Shogun, had arrived 9 years earlier and become Ieyasu’s right hand man and the British East India Company had set up a factory (trading station) near Nagasaki. Japan had recently come to the end of half a century of warfare and was now unified under the rule of Ieyasu but up north the formidable warlord Daté Masamune - the ‘One-Eyed Dragon of Oshu’ - had different ideas. He was interested in the Southern Barbarians and their Christianity and could see a way of using them to increase his own influence and perhaps escape from under the thumb of Ieyasu. So he decided to send a mission to the west. With Ieyasu’s approval he commissioned a splendid galleon, called the Daté Maru in Japanese and the San Juan Bautista in Spanish. Hasekura Tsunenaga was a samurai with a somewhat chequered background, but Daté decided he was the man for the job. He headed a delegation of thirty samurai plus 120 Japanese merchants, sailors and servants together with 40 Spanish and Portuguese. His brief was to negotiate trade treaties. This was Japan’s first official venture to Europe and he was the ambassador. After three months at sea the galleon arrived at California then followed the coast to Acapulco where they stayed for two months. They were received with great splendour in Mexico City, then boarded another galleon, the San Jose, to cross the Atlantic and reached the port of Sanlùcar de Barrameda, at the mouth of the river Guadalquivir, in Spain, on October 5th 1614. And so they arrived in Seville, the jewel in Spain’s crown. "The Japanese ambassador Hasekura Rokuemon, sent by Joate [Daté] Masamune, king of Boju [Oshu], entered Seville on Wednesday 23rd October 1614," reports a contemporary Spanish text. "He was accompanied by 30 Japanese with blades, their captain of the guard, and 12 bowmen and halberdiers with painted lances and blades of ceremony." Seville was the greatest and most glamorous city in Spain. It was the European port of departure for the Americas and had a monopoly on all Spanish trade with the new-found continent. Day and night galleons laden with American gold and silver and treasures from the Indies plied their way up the Guadalquivir, unloading their bullion at the Royal Docks. Seville was the hub of world trade, a cosmopolitan melting pot of money seekers, where merchants from across Europe flocked to acquire goods from the New World. Much of the bullion was spent on Seville’s glorious architecture and there was a huge flowering of the arts. Velazquez was starting his career, Cervantes was working on the second part of Don Quixote. Hasekura must have enjoyed this magnificent city of golden stone, so different from the wooden and bamboo cities he knew with their towering white-plastered castles. He no doubt visited the cathedral, completed a hundred years earlier, and marvelled at the ornate carving of the spire. Such a high-ranking envoy was probably invited to the Real Alcázar, Philip III’s residence in Seville, and must have admired the gold ceiling and intricate stone fretwork of the Salón de Embajadores and the lavish gardens, so different from the gardens of Japan. He also must have enjoyed the orange trees, which perhaps reminded him of the orange groves of Shikoku, and the streets crowded with fashionable ladies in ruffs and enormous bell-shaped skirts and gentlemen in doublets, padded breeches and hose. 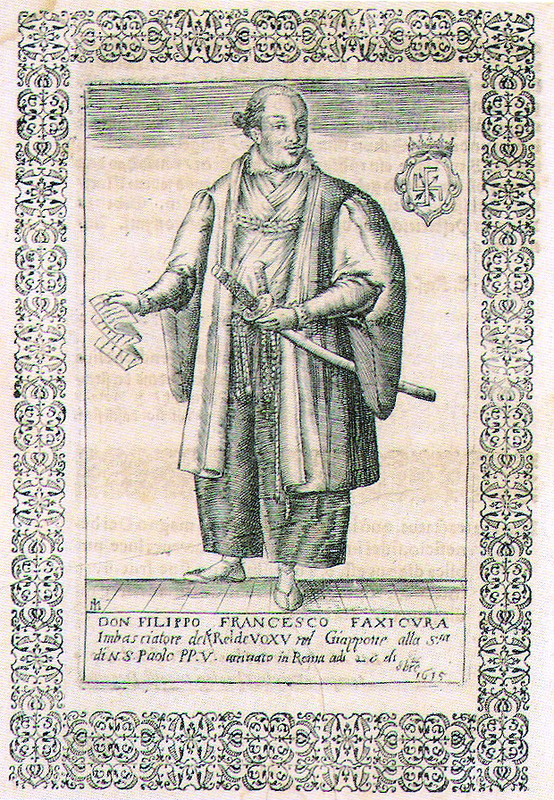 Hasekura went on to Madrid where he met King Philip III on 30 January 1615 and delivered a letter from Daté Masamune proposing a trade treaty. 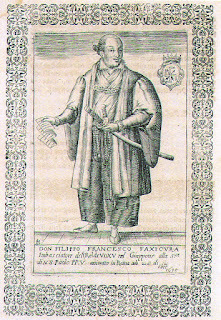 He was baptised on Feb 17 1615 by the king’s personal chaplain. In all he and his colleagues spent eight months in Spain, being treated with all the honour due to visiting dignitaries. Then they sailed on. They were forced by the weather to make a three day stop in Saint Tropez, where they caused quite a sensation. From there they went on to Italy where Hasekura had an audience with Pope Paul V, just as Galileo was formulating his theory that the earth circled the sun, not the sun the earth. In April 1616 they were back in Spain and in June 1616 left Seville for New Spain (Mexico) on the first leg of their journey home. Six samurai stayed behind and in the little town of Coria del Río, just outside Seville, seven hundred of the 25,000 inhabitants now bear the surname Japón, marking them as descendants of the expedition. But when Hasekura and his colleagues got back to Japan after seven years away, like Urashima Taro, the Japanese Rip van Winkle, they discovered everything had changed. 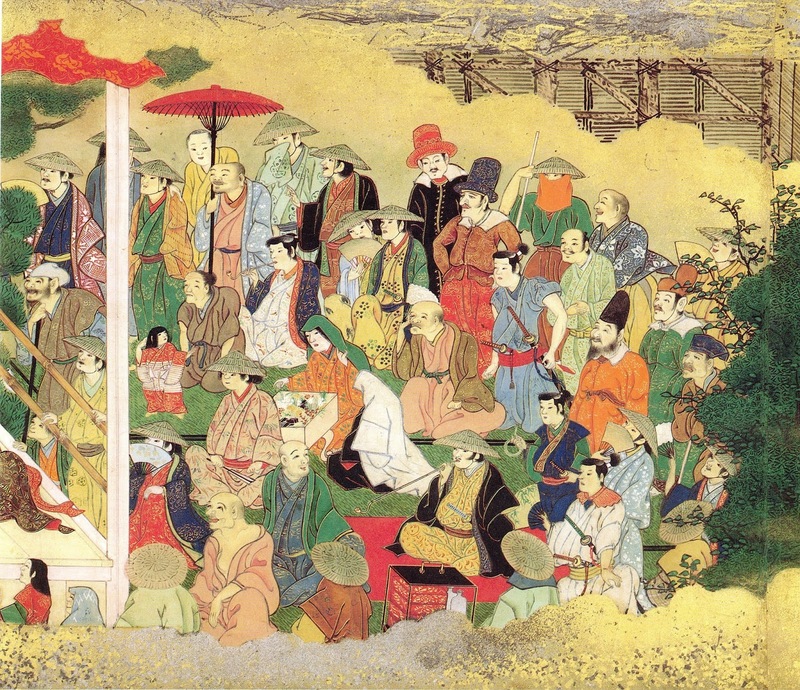 The retired shogun Ieyasu had died and his son, the shogun, had decided to eradicate Christianity and persecute Christians. The treaties Hasekura had worked so hard to negotiate were useless. 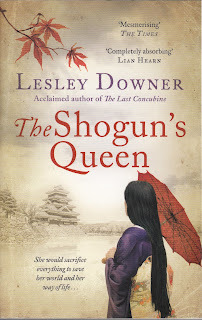 Lesley Downer’s latest novel, The Shogun’s Queen, is an epic tale of nineteenth century Japan and is out now in paperback. For more see www.lesleydowner.com. Old pictures courtesy of Wikimedia Commons. New pics author's holiday snaps. I haven’t heard this story before! Fascinating! How did he communicate with the Spanish? Yes, I only just heard about him recently and was amazed! Good question. There were certainly Jesuits who spoke very good Japanese. Maybe he - or one of his companions - learnt Spanish on the way over. There would have been lots of time. How fascinating! I'd heard of William Adams (via Shogun) but never realised that Japanese samurai and traders make the journey to Europe. Do you want to transfer instant bitcoin to bank. This website is one of the best way to exchange cryptocurrency.